Karl and Sarah Worley founded Biscuit Love in 2012 as a food truck that offered an assortment of southern menu options sourced from local purveyors and farms. They quickly became a beloved addition to the Nashville food truck community, and after a year in a borrowed truck, they unveiled "Lilly,” an Airstream trailer customized into a first tier kitchen on wheels. For two more years they were staples on Saturdays at the Franklin Farmer's Market and Sundays at White's Mercantile in 12 South. 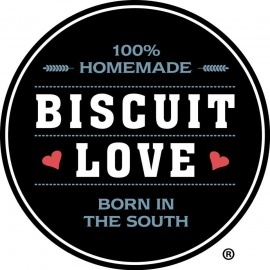 In 2015, Karl and Sarah re-envisioned their food truck concept and opened a brick and mortar Biscuit Love restaurant in the heart of The Gulch. Their menu and offerings have expanded significantly since the days of the food truck, but Karl, Sarah, and the entire Biscuit Love family are still committed to sourcing locally and giving back to the community. 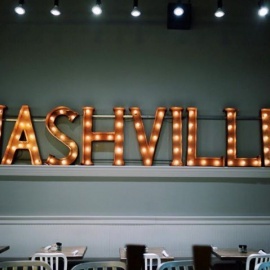 Welcome to Biscuit Love, a brunch place born in the South. Our menu is served all day. We make almost everything from scratch in-house. Our Angel biscuits and Family Reserve biscuits are vegetarian friendly.